Nitro Ball - FLYING TIGER ENTERTAINMENT, INC.
​Engage in the deadliest game show with Johnny Turbo’s Arcade: Nitro Ball! 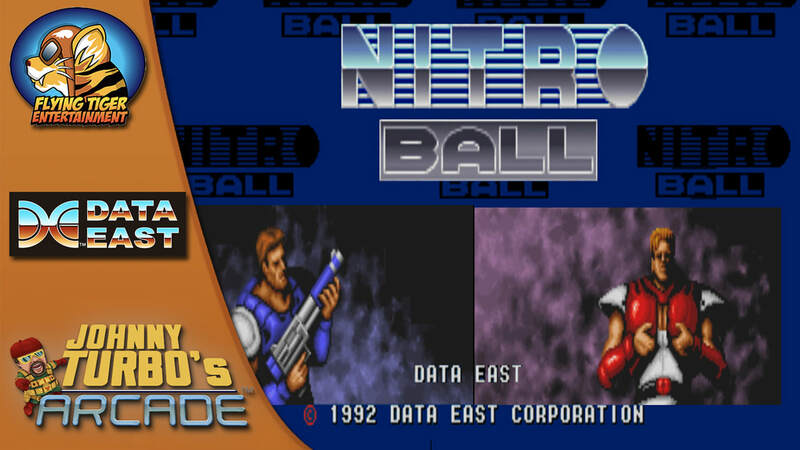 Flying Tiger Entertainment presents Johnny Turbo's Arcade: Nitro Ball, the exciting arena-style shooter by Data East™. Welcome to the world of Nitro Ball, a savage game show where contestants blast enemies through different pinball worlds. In order to win the game, players must not only survive but rack up as many points as possible. Contestants Gary and Harry battle through the pinball fields together. Only one can be victorious. Who will collect the most items while killing the most goons? Will it be Gary, the Ex-Navy Sergeant or Harry, the Ex-Police Officer? Nitro Ball allows for up to three players and features five dangerous pinball worlds with unique baddies. 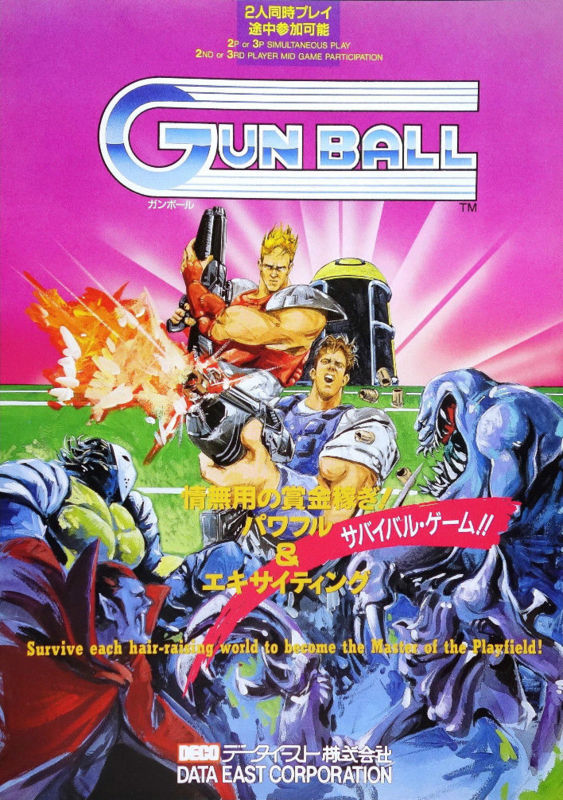 The stages include: Strange Football, Combat Field, Ghost Town, Aliens World and Space Station. With the Real Arcade Feel, Nitro Ball is a fast and furious vertical action game where players must kill or be killed.